The Old Schoolhouse in Minigaff, near Newton Stewart, Dumfries and Galloway sleeps 8 people. 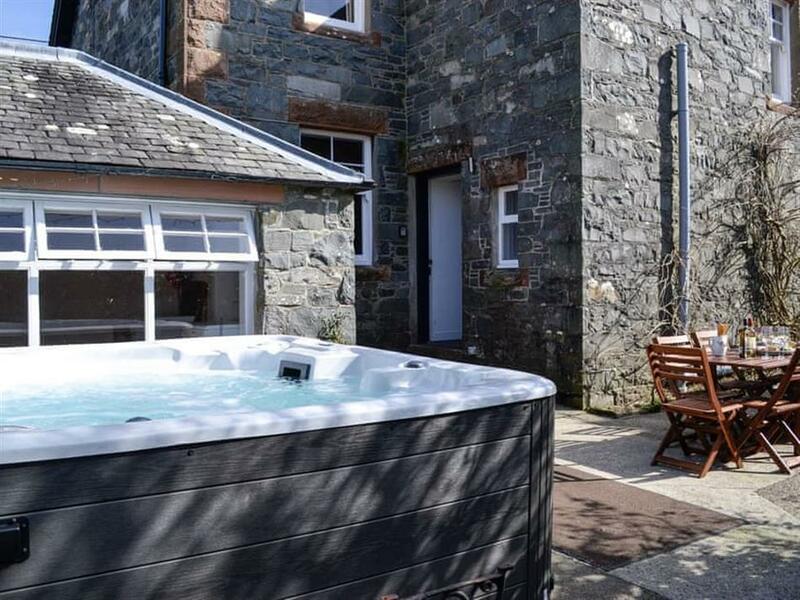 The Old Schoolhouse near Newton Stewart is a spacious property, originally the schoolhouse, which enjoys lovely gardens and a fantastic hot tub for all eight guests. 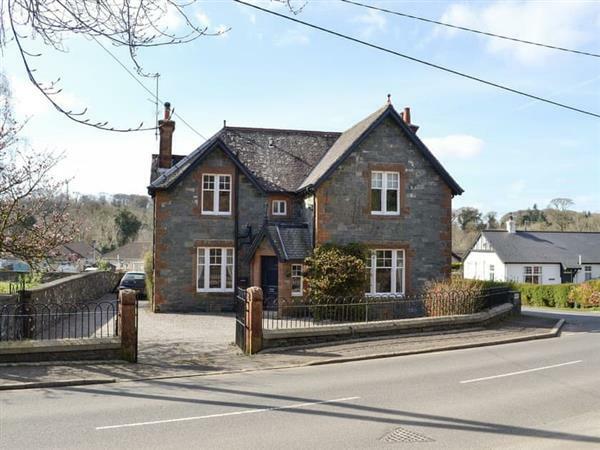 Situated within easy walking distance of the town centre of Newton Stewart which has many excellent shops and places to eat. The Wood of Cree is close by with the largest area of ancient woodland in southern Scotland, and is abundant with bird and wildlife. The Galloway Forest and Dark Skies Park is within easy reach with wild goats, a deer hide and Clatteringshaw Reservoir viewing point, café and gift shop. The location is perfect for walkers, golfers and cyclists, with Glentrool waterfalls, café and visitor centre, Kirroughtree and the 7Stanes mountain bike trails nearby, as well as a great choice of golf courses. There is an abundance of fishing, birdwatching, beautiful and exotic gardens, many rocky coves, sandy beaches and quaint villages to explore along the Machars Peninsula. The beach is 15¼ miles from The Old Schoolhouse near Newton Stewart. With the shop 400 yards, and the pub & restaurant is 200 yards from The Old Schoolhouse. Living room: With gas coal-effect fire and 37’’ Freesat TV with BT entertainment package and Netflix. Kitchen: With gas Rayburn, microwave, fridge, dishwasher and tiled floor. Gas central heating, gas, electricity, bed linen, towels and Wi-Fi included. Travel cot and highchair. Welcome pack. Freezer and tumble dryer in bike store. Large enclosed lawned garden with patio, garden furniture and barbeque. Hot tub for 8 (private). Bike store. Private parking for 5 cars. No smoking. Holidays at The Old Schoolhouse run from Friday to Friday. Pets allowed at The Old Schoolhouse. For a better idea of where The Old Schoolhouse is, you can see The Old Schoolhouse on the map below. The Old Schoolhouse is in Wigtownshire; should you be on the lookout for a special offer, you can find all the special offers in Wigtownshire. It's always worth checking to see what is on offer at the moment. Do you want to holiday near The Old Schoolhouse (UK11142), you can see other cottages within 25 miles of The Old Schoolhouse; have a look to find your perfect holiday location.